This 2 bedroom apartment is located in Francavilla al Mare and sleeps 4 people. It has WiFi and air conditioning. The apartment is within walking distance of a beach. Apartment, 4 people, 3 room/s, 2 bedroom/s, 2 bathroom/s, approximately 50 m², 1 floor/s, apartment on ground floor, renovated 2018. Further holiday makers live in the main house. Feature: Property in a hotel complex. Furnishing: good, modern, pleasant, tiled floor. € 15 per person and stay (depending on occupancy). Heating/air-conditioning if required, € 10/​day. Holiday resort tax. Linen/towels available. Change of bed linen/​towels every 7 days included. Deposit € 150 (in cash). Pet 1 pet allowed, € 35 per stay (small pet only; please advise prior to arrival; additional animals on request only). Estate (shared use with holiday guests): closed plot (fence), natural surroundings. Infrastructure: reception (available during the whole season); washing machine (shared use, payment). Restaurant (approximately June to September, limited service in the off-season); Bar/cafe (available during the whole season, limited service in the off-season); breakfast, half board (lunch), half board (dinner): payment and request on-site. Beach service: at the beach (18/05/19-29/06/19 und 31/08/19-28/09/19): 1 deck chair, 1 sun lounger, sunshade for each property free of charge. Plot description: 1 x parking on the estate; parking on the road near the house. The agent describes this apartment as a family friendly holiday rental ideal for the summer holidays. It is also good value for money. This apartment is located in Francavilla al Mare. 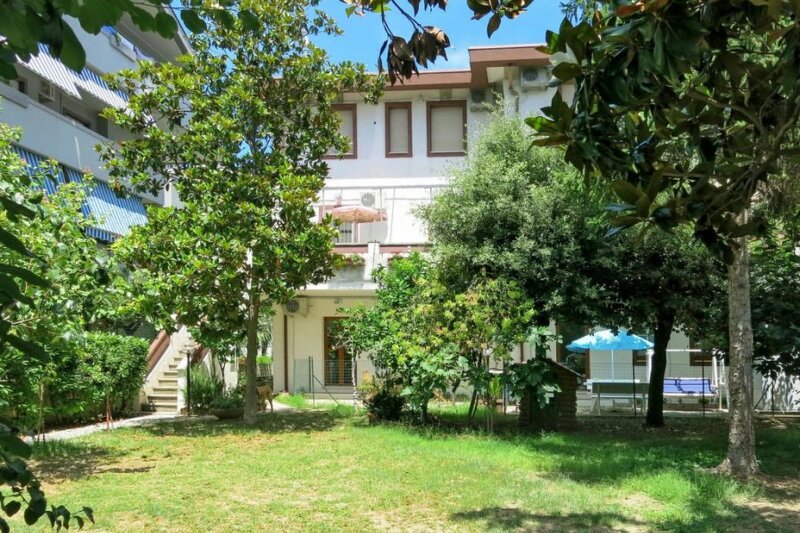 It is set in a very convenient location, just 0 metres away from a beach and only 2km away from the city center. There is a golf course nearby. The apartment is suitable for family friendly summer holidays as well as relaxing winter holidays.